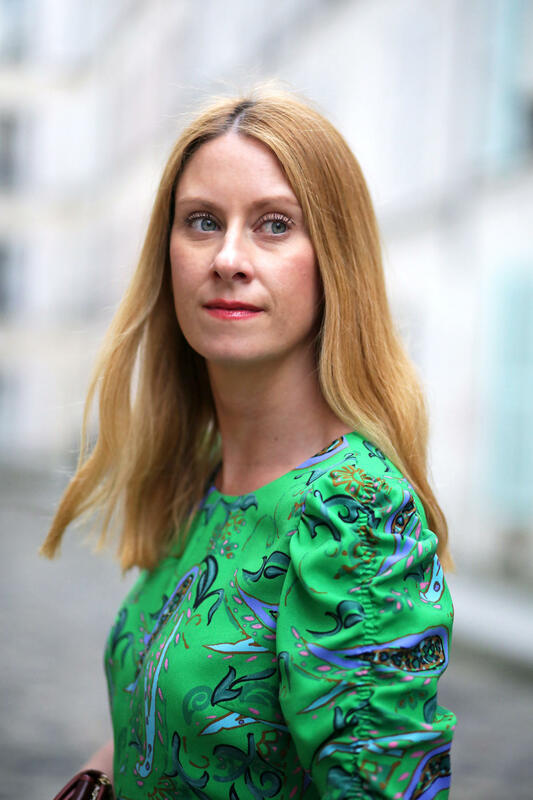 The Short Green Dress with Paisley Print – Blog Mode Tendance et Lifestyle| Paris Beaauuu! How to wear 3 colors that have nothing to do together? For this, we must find the link, the conductive element that will relate these three colors together. In this new look, I’ve paired burgundy, swimming pool blue and an electric green. Nothing in common, right? Well, let’s have a look! The key to this trio is a dress I found at Zara two weeks ago. 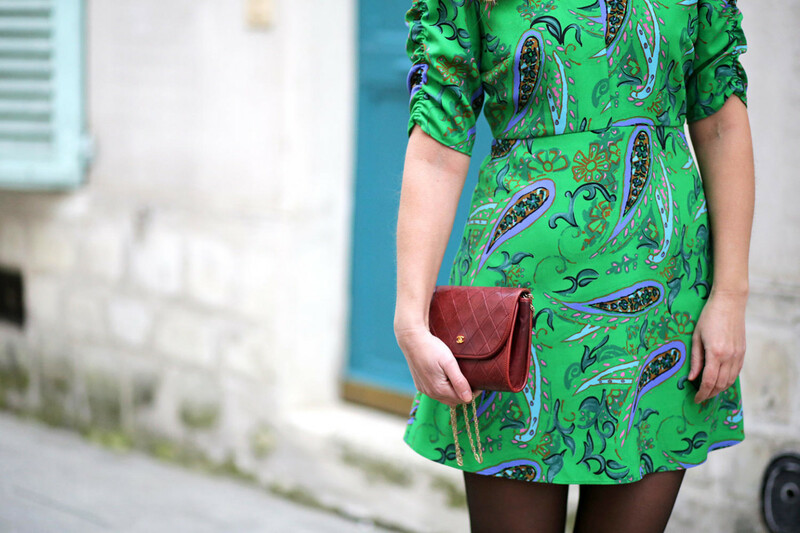 It is a short green dress with paisley print. The print has many colours. There are two shades of darker green, a bit of purple, some splashes of blue and a touch of pink. 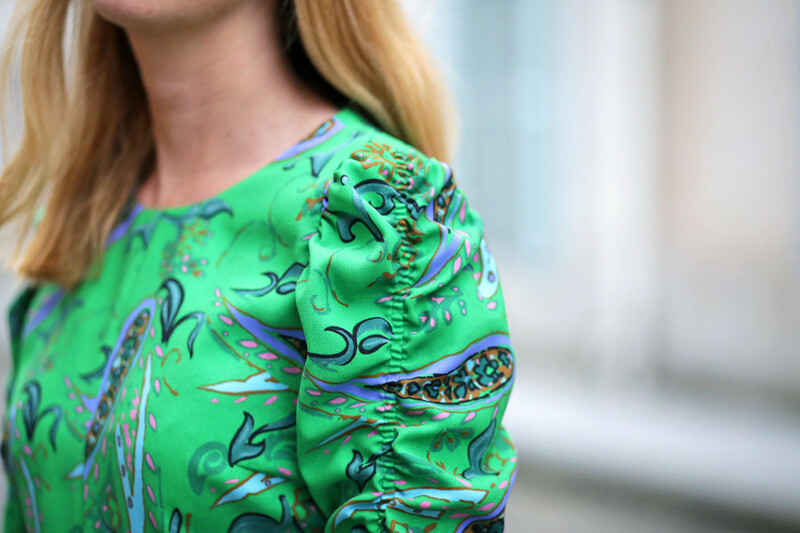 So, I take the blue present in the print of the dress by combining the dress with my blue jacket. Over the faux leather jacket, I wear a gradient colour of the pink that is in the dress by choosing to wear my burgundy coat (wide enough to slip my perfecto below).